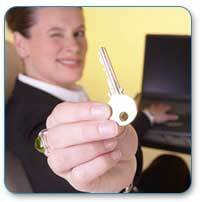 We’ve got a wide range of locksmith and sercurity services. MUL-T-LOCK’s Patented Interactive Key Control System gives you the confidence you need to know that you are in total control of your keys. To understand MUL-T-LOCK’s Interactive System, you must first understand what “Key Control” is. Only the user and authorized users are able to obtain additional keys. Anyone can obtain additional keys without any verification or requirements. MUL-T-LOCK extends a Limited Lifetime Mechanical warranty to all of its customers, for all of its products. You truly have a Lock for Life. As an ISO9001 Quality Assured Company, MUL-T-LOCK Technologies understands the importance of quality and reliability. Made with the best materials, and by a trained, highly professional staff, all MUL-T-LOCK products are backed by a Limited Lifetime Mechanical Warranty on cylinders, locks, padlocks, and keys. 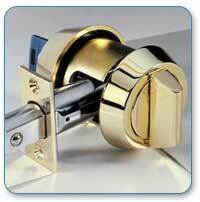 Most manufacturers offer a 30 day or 1-2 year warranty on their locking products, if any at all. At the same time these products are made with inferior materials, which do not last over time and usage. How long are your locks warranted for? Lifetime finishes, and actual retrofits make all MUL-T-LOCK products aesthetically pleasing, as well as High Security. All MUL-T-LOCK products are designed to give a smooth and clean retrofit, and hold up over time to wear and tear. The MUL-T-LOCK Hercular Deadbolt is available in a Lifetime Anti-Tarnish Finish, which will resist corrosive elements from the environment that can tarnish other locking products. Some products which claim to retrofit other products do not, and create a triangle peg into square hole look. Most manufacturers are not aesthetically sound. The finish wares off, the levers begin to sag, cylinder faces become warped, and parts sometimes leak. Just because something is High Security, doesn’t mean it needs to be ugly. Visual deterance is sometimes the best security of all! MUL-T-LOCK’s vast product range can conform to any security need. Whether it is retrofitting existing hardware or a fresh install, MUL-T-LOCK products will upgrade your security and give you the flexibility to have one key that can do it all. Ranging from cylinders, to locks, to padlocks, MUL-T-LOCK products can adapt to almost any application, fitting almost any security requirement. Whether it’s a front door, gate, desk drawer, or file cabinet, no application is too small or too big. High Quality R&D has allowed the company to be the leader in the development of High Quality, High Security Products. All MUL-T-LOCK products can be incorporated into a keyed alike, keyed different, or master key system which can be designed by an authorized dealer and MUL-T-LOCK to fit any requirement. Whether it’s a private home or 50 story skyscraper, there is virtually no limit on keying possibilities of MUL-T-LOCK products. Most manufacturers do not make multi-application products. Usually the keys which lock a file cabinet, or desk drawer, are not the same keys which lock the front, back, or office door. Even with manufacturers who do make products for specialty usage, the keys are usually different sizes to accommodate the size of product. By this inconvenience, whomever needs to access alot of doors has a key chain the size of a medicine ball with literally 10’s of keys on it. 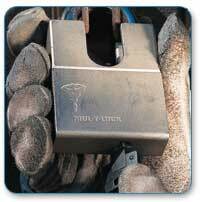 MUL-T-LOCK products exceed the toughest industry standards for pick and drill resistance. Designed to stand up to the most determined attempts at forced entry, MUL-T-LOCK will never let you down. MUL-T-LOCK products exceed many United States and International qualifications against physical attack. All MUL-T-LOCK products are designed with pick and drill resistance. Hardened steel inserts are strategically placed in sensitive areas to resist against drilling attempts. Specific parts are reinforced with some of the strongest materials available to resist tampering and forced entry. MUL-T-LOCK’s advanced design of telescopic pins (Pin within a Pin) will resist to most determined attempts at picking. Most locks are made with inferior material, which can be drilled, pried, and tampered with using minimal efforts to force open almost door. Most cylinders are not made to resist picking. With specialized pick sets readily available through mail order catalogs and the internet, just about anyone can get specialized tools and instructions on how to pick open almost any lock cylinder. Will your locks stand up to the test? 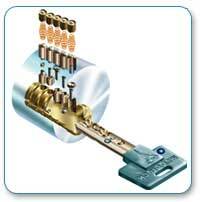 Contact Pacific Locksmith today for your free consultation!